If you're looking for tyres in Applecross, BestDrive Applecross is your answer. We offer a great range of tyres, including Continental and General Tire, and have the experience and equipment to make sure you get the right job done the first time. BestDrive Applecross are your battery experts in Applecross. Our technicians can provide you with the right advice to make sure that you get the suitable battery for your needs, and we stock batteries to fit most passenger cars, SUV, 4WD and light commercial vehicles. If we don’t have it in stock, we can typically order it same day, or we’ll let you know an ETA. At BestDrive Applecross. You drive, we care. BestDrive Applecross provides wheel alignment and wheel balancing services in Applecross. A good wheel alignment and balance is key to delivering superior driving control, comfort and safety. An alignment and balance from BestDrive Applecross helps to ensure that your vehicle is safer to drive, and can prolong the lifespan of your tyres. If your car has a bit of a wobble, tracks off centre, has strange wear on the tyres, or is vibrating, chances are you are in need of an alignment or balance. We recommend an alignment every year, so if it’s been a while since your last alignment, or you can’t even remember when you last had it done, call BestDrive Applecross on 08 9364 8111 to discuss getting an alignment for your vehicle. The brake system is one of the most important systems on your vehicle, and it needs to be inspected at regular intervals. BestDrive Applecross can provide brake system inspections in Applecross, and service the different components as required. BestDrive Applecross stocks a variety of quality car brakes, brake pads, brake discs and brake equipment. Give us a call today on 08 9364 8111 to discuss any concerns you might have with your brake system, or drop by our store at 765 Canning Highway. Has your vehicle developed a bit of a shimmy or a shake? Suspension is a critical component of the safety and handling characteristics of your vehicle, and suspension that’s in need of servicing can also lead to decreased tyre life. BestDrive Applecross offers suspension maintenance in Applecross, and our qualified technicians can inspect your vehicle’s suspension and discuss with you any potential repairs that need to be undertaken. 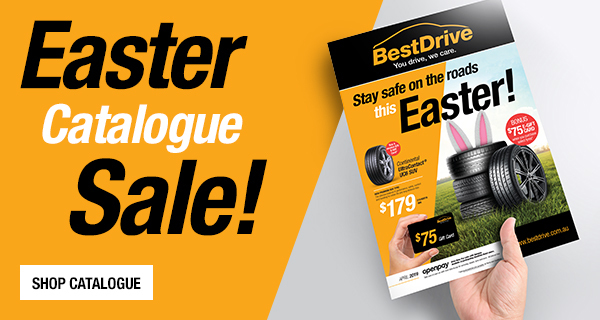 Call BestDrive Applecross today on 08 9364 8111 to discuss your vehicle’s needs. Fitting new wheels to a vehicle can entirely change the look, and make it more fit for the purpose you have in mind. At BestDrive Applecross we can advise on the best fitment and tyres for your new wheels, and our experts can guide you through the different choices that we have available. If you’re looking for alloy wheels, steel wheels, or wheel and tyre packages in Applecross, BestDrive Applecross is your destination. Call us today on 08 9364 8111, drop by 765 Canning Highway, or try our online wheel selector, which will recommend wheels for your vehicle that are safe, legal, and the best of what’s on offer. BestDrive Applecross has experienced mechanics that are ready to resolve any issue that your vehicle may be experiencing, big or small. Our experienced staff will take responsibility to discuss any issues with you in a clear, concise and easy to understand manner. BestDrive Applecross offers a full range of services for all makes and models of vehicles, including Toyota, Ford, Mazda, Hyundai, Holden, Mitsubishi, Subaru, Volkswagen, Nissan, Kia and more. If you’re in Applecross or surrounds, please don’t hesitate to call us on 08 9364 8111 to discuss any repairs your vehicle may need. At BestDrive Applecross. You drive, we care. When it comes to log book servicing, you have a choice! Contrary to popular believe, log book servicing doesn’t have to be conducted at your vehicle manufacturer’s service centres to maintain your warranty. BestDrive Applecross is your destination for log book servicing in Applecross, as our technicians can do all the necessary log book checks and repairs to ensure that your vehicle is serviced to the highest standard. Call us on 08 9364 8111 to arrange your next log book service. At BestDrive Applecross. You drive, we care. 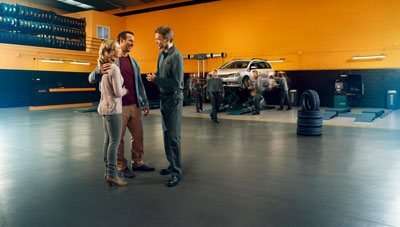 If you’re buying a new vehicle, heading out on a trip, or just have some concerns about your current vehicle, a vehicle safety inspection from BestDrive Applecross can be a key way to identify any issues to rectify and provide you with the confidence you need in the condition of your vehicle. BestDrive Applecross provides vehicle safety inspections in Applecross, and our multi-point safety inspections cover all aspects of the vehicle and its safety to the occupants and others. Call BestDrive Applecross today to arrange a vehicle safety inspection on your vehicle. At BestDrive Applecross. You drive, we care. BestDrive Applecross is a 4x4 accessories fitment specialist, offering a great range of 4x4 tyres and wheels, and also offering a wide range of essentials and accessories for your 4x4 vehicle. Whether you're off on a camping trip, or tackling the outback, if you're looking for 4x4 accessories in Applecross, BestDrive Applecross can help you with your range of options and pricing. When your vehicle is due for tyres, a service or in need of repair, contact BestDrive Applecross on 08 9364 8111 to ensure quality workmanship, using respected brands which cater to all budgets, including Continental & General. At BestDrive Applecross, we believe in clear, concise and honest communication with our customers to provide you with exceptional customer service. Our quality products, including tyres, wheels, brakes and batteries make BestDrive Applecross the ideal choice for your next service or repair. Call us on 08 9364 8111 to discuss your next service or book in your vehicle.